The time following the death of a family member is never an easy period. If you are then told that there will need to be an Inquest to look at the events which led to the death this can make the process very difficult. However the Inquest is a very important procedure for family members as this can explore and answer many questions that the family may have about what happened in the time leading up to the death. At Allington Hughes Law we are extremely conscious of how difficult a time it can be and that is why it is advisable to seek advice and guidance from a specialist solicitor who can not only advise you regarding the law in the area, the procedure involved in a Coroner’s Court but also provide you with support during the process. A solicitor can also ensure that the questions you want answering are answered during the Inquest. We have been advising our local community for over 190 years and pride ourselves on being both experts in our field whilst being friendly and approachable. This can be extremely important at such an emotive time. An inquest is the procedure of investigation into the circumstances surrounding a death, which is held in public. Whilst an Inquest produces a verdict, it is not a trial. It is a fact-finding inquiry by a Coroner, and it can be held with or without a jury. If you are involved in the inquest system then knowing the limitations of an inquest is important. An inquest cannot make conclusions in terms of civil or criminal liability, but will explore the facts that could have a bearing on any future civil or criminal liability. The Inquest system does not seek to establish who was responsible for a death. s.1 of Coroners and Justice Act 2009 states that a Senior Coroner must, as soon as practicable, conduct an investigation into a person’s death if the coroner has reason to suspect that the deceased died a violent or unnatural death, the cause of death is unknown, or the deceased died while in custody or otherwise in state detention. This legislation therefore places a legal duty on the Senior Coroner of the relevant area to investigate a death in any of these circumstances. Who should report a death to the Coroner? Technically anyone can report a death to a Coroner but in the main the reports will come from medical professionals or the Police. However a family can report the death of a loved one if they have concerns about their care and treatment prior to their death. Do I have to be represented during an Inquest? In short, no. The Coroner will have the conduct of the Inquest hearing and will ask the majority of any questions asked of witnesses. However as an Interested Person you have a right to ask questions yourself. You may want to seek advice regarding this and even be represented during the hearing to ensure that all pertinent questions are asked of any witnesses and to make sure that you feel that you have explored any issues that you have concerns about. Legal Aid is only available to family members in very limited circumstances therefore we will always be up front in terms of the likely costs involved with legal representation. In certain cases we can work in conjunction with a specialist Barrister to represent you. 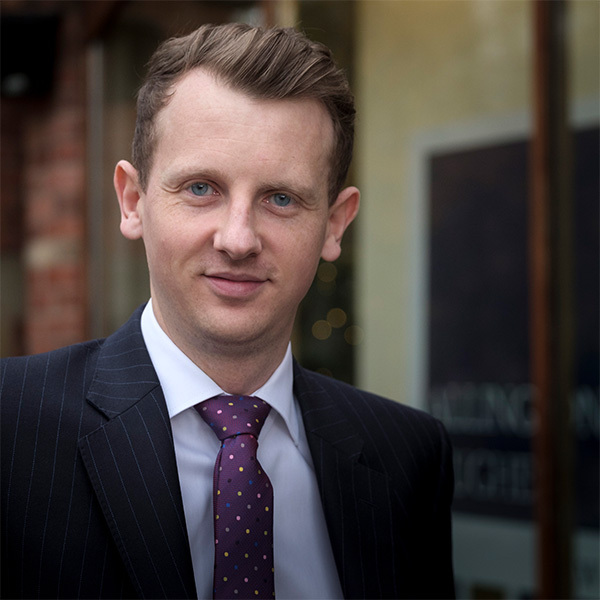 If you need advice or assistance in relation to an inquest please feel free to contact Ian Barnes on 01978 291000 or [email protected] for a free no obligation discussion.